Just couple of days before the Christmas, my sister&her family and my parents visited me. They came over from Romania and I was so happy to see them again. I miss them every single day. 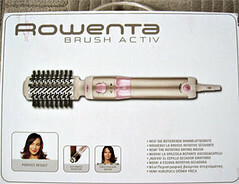 My DS spoiled me with very nice present, a Rowenta spin brush. 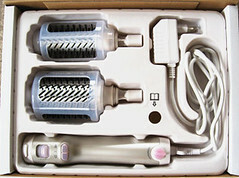 I recall to mention just once in the past that I would love to have one, but, dear her, she didnt forget it. Thank you! And my darling mother, she surprised me with what I miss a lot from Romania: Romanian wines which are not so famous worldwide (just lack of marketing) but their taste is incredible fine. 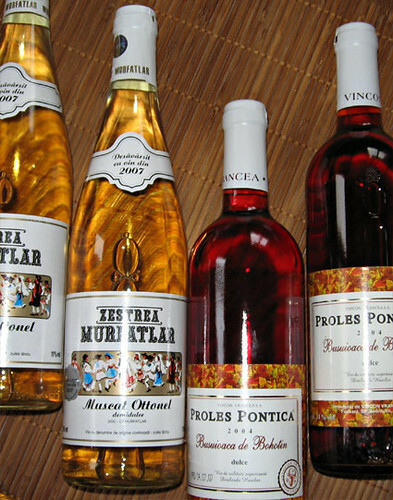 Muscat Ottonel from Murfatlar wine is my favorite. I like to have a glass of wine beside me (not for decoration purpose) while knitting evening. Aww how sweet! The wine looks yummy for sure! I bet you were very happy!